These are just a glimpse of the insights I learnt at this year's Web Directions North. 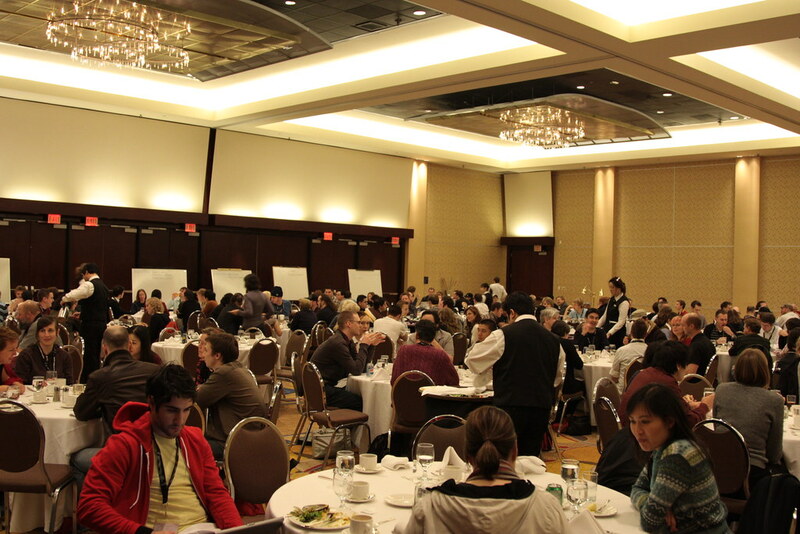 The conference was packed with a well-balanced content on both web design and development. There were practical sessions like Working with Ajax Frameworks by Jonathan Snook and Five Essential Composition Tools for Web Typography with Kimberly Elam as well as inspiration sessions such as Where’s Your Web At? Designing for the Web Beyond the Desktop with John Allsopp & Dave Shea and the closing keynote Movement by Matt Webb. The conference is in its second year in Vancouver with lots of returning attendees from last year. I was surprised at the number of people know each other well at the conference, but I found out later that they met at the last year's conference and kept in touch all year. With the relative small conference size and the heavy weights speakers in the Web space, I was honored to have my one-on-one chat with Indi Young about Mental Models and had a group dinner with all the speakers. You can get the conference session notes by reading the RSS feed. Session slides are being posted to SlideShare. Here are some of the pictures I took at WDN08. More photos can be found by search "WDN08" on Flick. I'll post my podcasts with some speakers soon.